The backer rewards for my recent Kickstarter campaign, “Cryptid Command” just shipped! 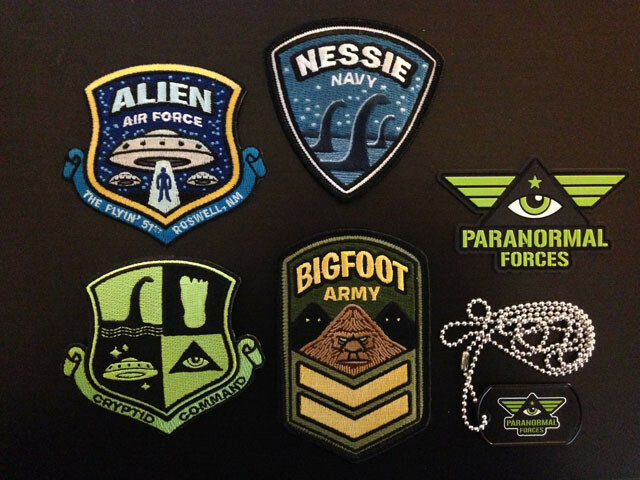 Thanks to all the supporters, I was able to produce not just the Bigfoot Army, Nessie Navy and Alien Air Force embroidered patches, but also the bonus Cryptid Command shield patch and the Paranormal Forces PVC emblem (a rubber patch). I.D. cards were included in all kits, and backers who pledged to receive them got their I.D. card with customized text — an exclusive Kickstarter-only reward. 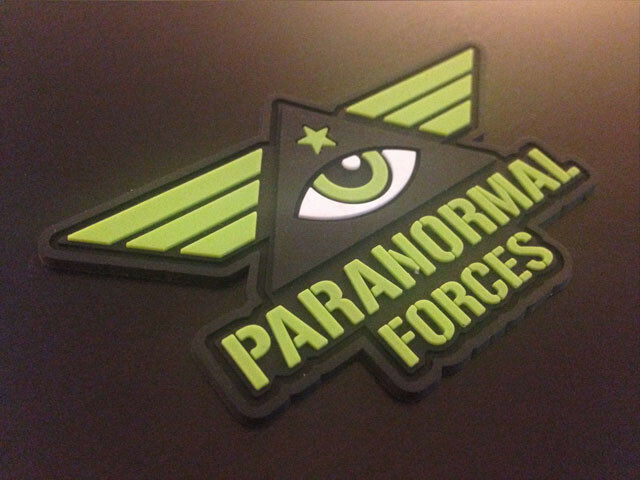 And after some post-campaign research, I was able to also add in as a bonus item a Cryptid Command/Paranormal Forces 2-sided printed dog tag for all backers receiving a full kit. The campaign also unlocked the die-cut magnet stretch goal items for the Bigfoot, Nessie and UFO patch designs. I shipped a record number of original art to backers. It was a blast drawing all the Bigfoot, Nessie and UFO/alien drawings. All of the items will be available very soon over on my Monsterologist shop. Be sure to sign up for the Monsterologist email newsletter to be notified when they are available and to get coupon codes as well. Thanks again to all the backers and all the blogs and media outlets who helped spread the word!